Rain and fog this morning. Icy conditions this afternoon followed by accumulating snow. Rain and patches of dense fog will change to snow this afternoon as temperatures plummet with the passage of a cold front. There may also be a brief period of freezing rain during the changeover from rain to snow. Surfaces such as highways, roads, walkways and parking lots could become icy and slippery. Extra care should be taken when walking or driving in affected areas. The snow will continue tonight as the region will be on the northwest edge of a major winter storm. Depending on the exact storm track, snowfall amounts could be anywhere in the 4 to 10 cm range. 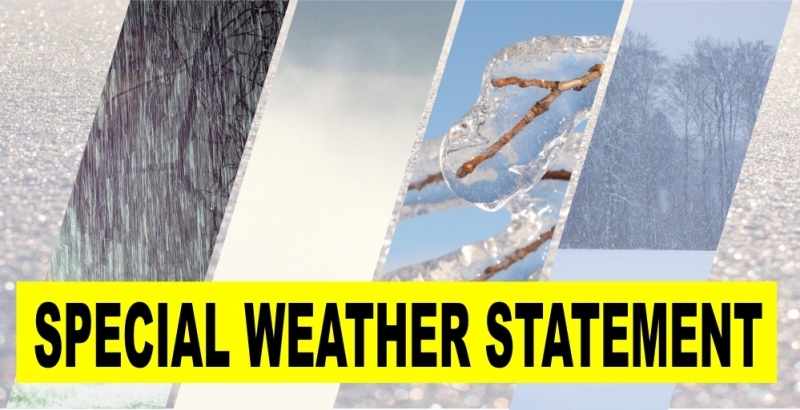 Environment Canada will continue to monitor this evolving storm.